In the last chapter, I showed you how to get tasks out of your head and into your notebook. In this post I’m going to answer some questions you might be having about what to do next, and show you how to make a to-do list even when you’re short on time. Where do I put my tasks? How do I break them down? How do I word them? What resources do I need to keep alongside them? Where should you put your tasks? Do you already use a task management app? Are you totally happy with it? In a recent post, I walk you through the pros and cons of 13 different checklist apps, so go and check that out now if you’re undecided. The tool which fits this description is Todoist. 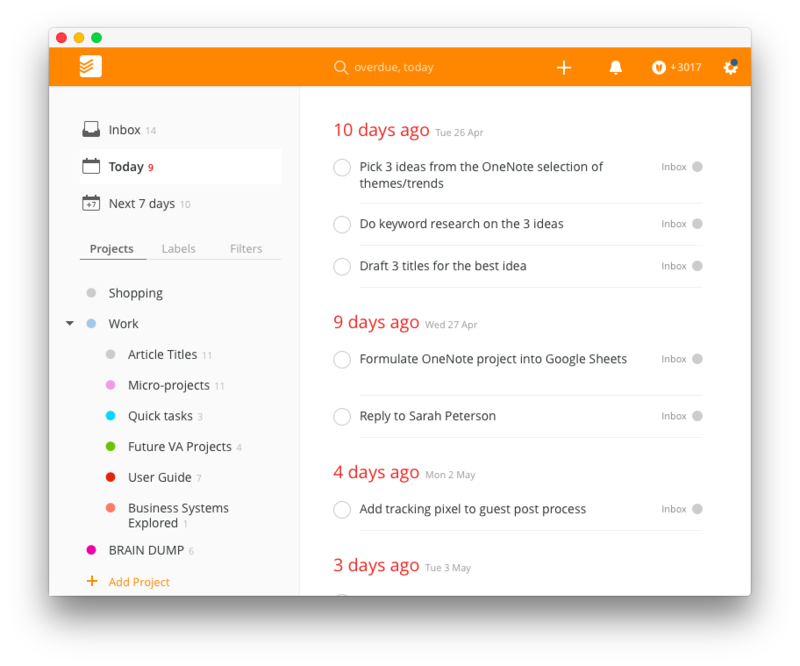 Todoist was built around GTD, making it an ideal choice. You can create projects with tasks and subtasks, set priorities and create saved searches. It’s available on every platform you can imagine, so it’s easy to add tasks that sync across the board. Other solid (yet more platform-limited) choices include Things and Omnifocus. In case I didn’t already ruin the surprise, I’m nominating Trello as the best Kanban tool, and the best way to get started with Agile methodology. Other Kanban tools include Kanbanchi, and KanbanFlow. Sometimes you don’t need anything more than a couple of lists and a way to organize the tasks inside them. Lately, I’ve settled with quickly adding tasks from my paper notebook to a simple task manager, and tracking my larger projects and group tasks on project management software Trello. 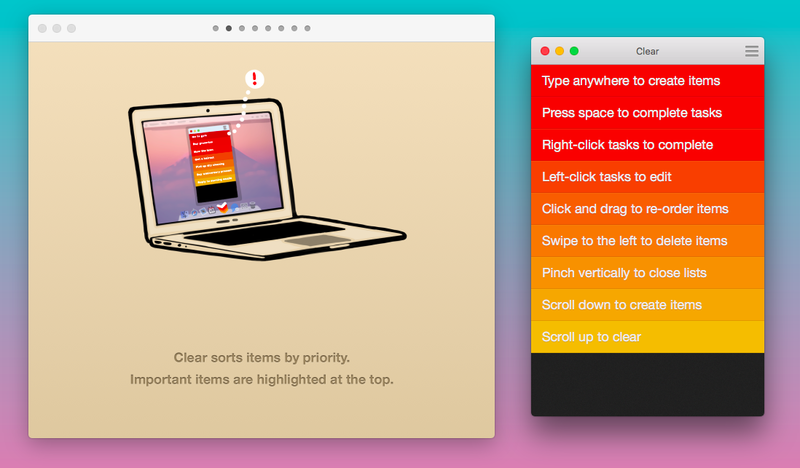 For simple task management, I’d recommend Clear. You can’t get much simpler than that. The downside is that you can only get it on OS X or iOS. For Android, I’d recommend Any.Do (but don’t bother with the grotesque web version) and for Windows/web try TickTick. If you want your tasks to live inside your terminal, check out todo.txt! After getting tasks out of your head and written down somewhere, you’ll probably be left with some items that aren’t really tasks, but projects in disguise. If you look through and realize, “I can’t do this in one action”, then it’s a project and you need to break it down into things you can do in one action. Some projects are small (like organizing your wardrobe), but some will be massive and could take months; a website redesign, for example. For every item, ask yourself: what’s the next action? If there is one, add it as a sub-task. However, to keep your tasks actionable and the project moving forward, you’ll need to make sure you’re naming your tasks properly. 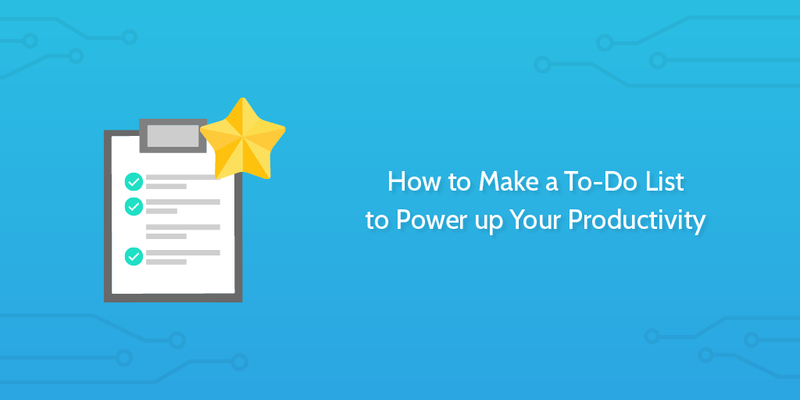 The way you write your to-do list can affect your productivity massively. The effects range from a logical issue (such as, ‘this task isn’t named descriptively enough for me to action it’) to a psychological barrier getting in the way of your productivity. Since tasks are there for you to take action on, you want them to be actionable. As in, lead you from start to finish in one go. The great thing about organizing your tasks in a tool that supports comments, descriptions or notes is that you can keep your related resources close by. It’s why so many people use Evernote or OneNote as task management tools, even if they’re not the absolute best options for the job. A best practice: If you know you’re going to need to refer to an article draft, source material or a spreadsheet, use a tool that can keep that inside the task itself so you’re not searching around or flicking between apps. You could use a simple tool like Clear or the others I mentioned earlier, but if you’re working on something more complex that needs resources close by, trying keeping them in Evernote and putting the Evernote tag in the task name. 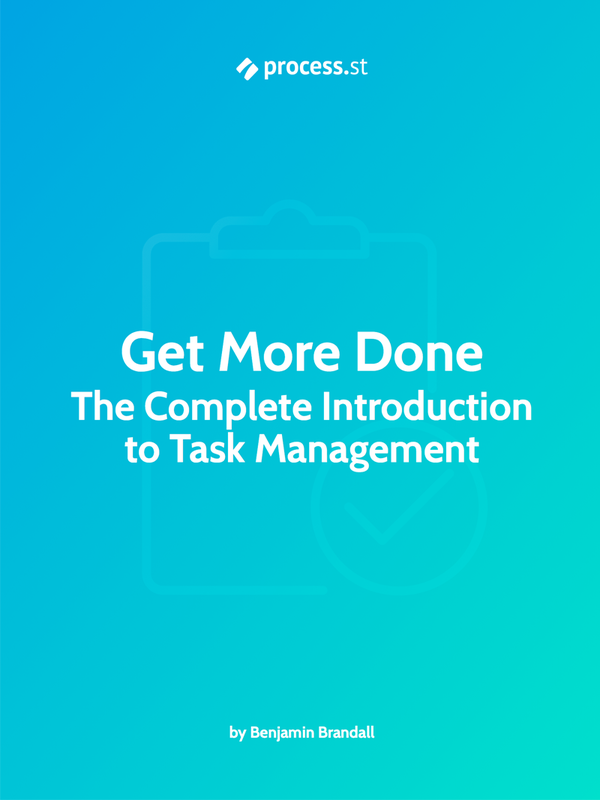 In the next section of our task management guide, I’m going to go over how to prioritize your tasks. How do you know which task’s a priority when every task is #1? 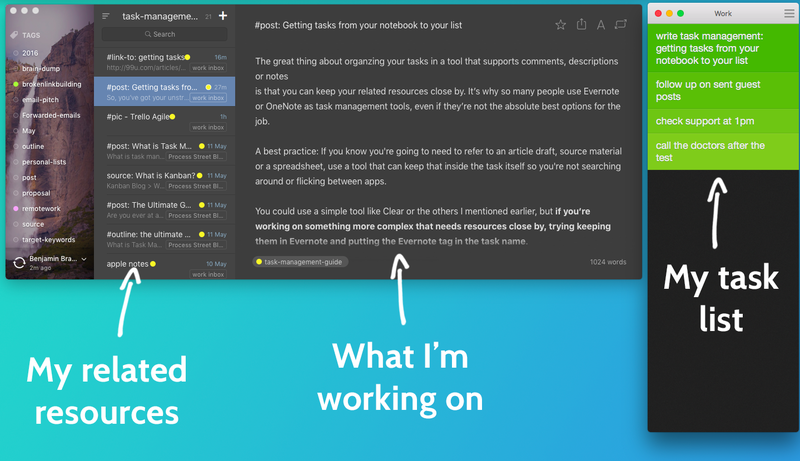 Great one blog of all best tasklist apps for our choice to pick. I like your site on making checklist, todo list, GTD, Agile Ways and Kanban. at this stage, what makes a good checklist works is what I’m investigating. From what I’ve found, a good checklist always has ‘next actions’. So you might have a bigger project, but as long as you have a prioritized ‘next action’ on your list, everything will move forward smoothly. To-do list is a must have for anyone who is wearing multiple hats and is struggling to get things done at the end of the day. I like your suggestion about verb the noun with the object. It makes the actions real and tells you exactly what you need to do to take that off your to-do list. Very good breakdown of the different approaches of task management, each tool is great and has very good features to solve to-do’s, the way that suits one best. Our team wanted to develop our own task management tools se we created Zenkit, it’s a free online tool to manage to-do’s in different views (kanban, list, etc.). We also wrote a blog post we’d love to have your feedbacks about. I like your site on making checklist.The great thing about organizing your tasks in a tool that supports comments. It is really a great breakdown of the different approaches for task management. I really appreciate on it.